Israel's Ben-Gurion University and the University of Chicago sign a cooperation agreement on research of new water technologies at Israel's Presidents' Residence. Jerusalem, Israel. 23-June-2013. 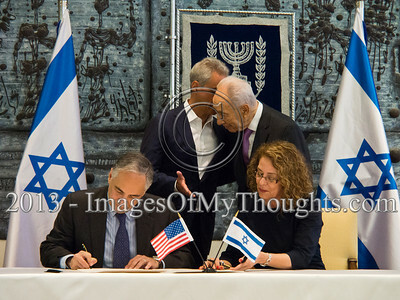 Israeli President, SHIMON PERES (rear R), and Chicago Mayor, RAHM EMANUEL (rear L), oversee signing of an agreement between Ben-Gurion University President, Professor RIVKA CARMI (front R), and Chicago University President, ROBERT ZIMMER (front L). Israel's Ben-Gurion University and the University of Chicago sign a cooperation agreement on research of new water technologies at Israel's Presidents' Residence. Pres. 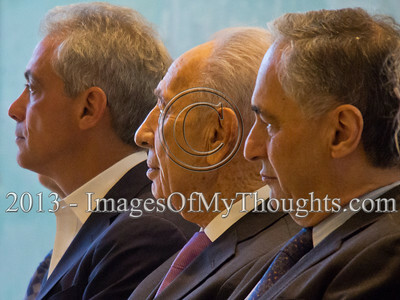 SHIMON PERES (rear R), and Chicago Mayor, RAHM EMANUEL (rear L), exchange comments at signing of an agreement between Ben-Gurion University President, Professor RIVKA CARMI (front R), and Chicago University President, ROBERT ZIMMER (front L). Israel's Ben-Gurion University and the University of Chicago sign a cooperation agreement on research of new water technologies at Israel's Presidents' Residence. 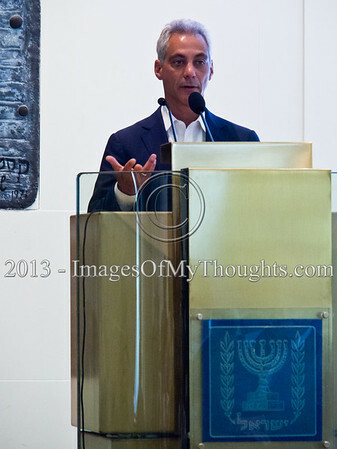 Mayor of Chicago, RAHM EMANUEL, delivers a statement following the signing of a cooperation agreement between Ben-Gurion University and the University of Chicago at Israel's Presidents' Residence. Israel's Ben-Gurion University and the University of Chicago sign a cooperation agreement on research of new water technologies at Israel's Presidents' Residence. 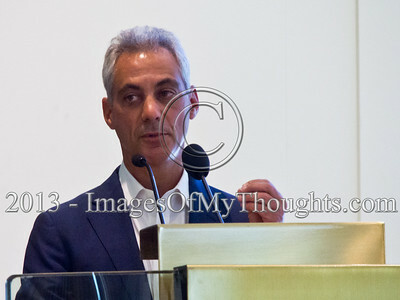 (R-t-L) President of the University of Chicago, ROBERT ZIMMER, President of Israel, SHIMON PERES, and Mayor of Chicago, RAHM EMANUEL, attend a ceremony for the signing of a cooperation agreement between Ben-Gurion and Chicago Universities. Israel's Ben-Gurion University and the University of Chicago sign a cooperation agreement on research of new water technologies at Israel's Presidents' Residence. 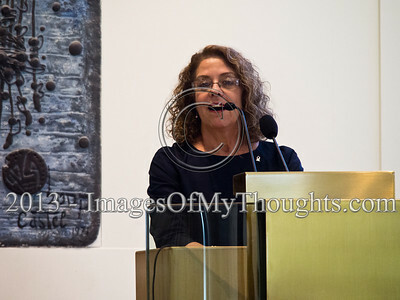 Ben-Gurion University President, Professor RIVKA CARMI delivers a statement following the signing of a cooperation agreement on research of new water technologies with Chicago University President, Zimmer, at the Israel's Presidents' Residence. Israel's Ben-Gurion University and the University of Chicago sign a cooperation agreement on research of new water technologies at Israel's Presidents' Residence. 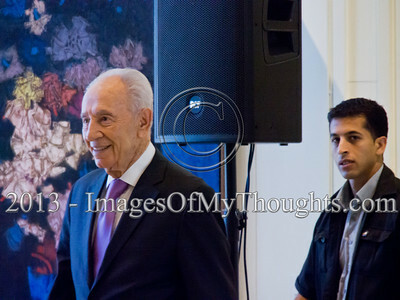 President of the State of Israel, SHIMON PERES, enters the Main hall at the Presidents' Residence for the signing of a cooperation agreement on research of new water technologies between Ben-Gurion University and Chicago University. Israel's Ben-Gurion University and the University of Chicago sign a cooperation agreement on research of new water technologies at Israel's Presidents' Residence. 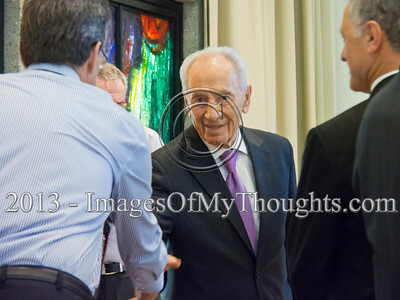 Israeli Pres., SHIMON PERES, and Ben-Gurion University's Prof. RIVKA CARMI, exchange embraces following the signing of an agreement between Ben-Gurion University and the Chicago University as Chicago Mayor, RAHM EMANUEL stands by to the right. Israel's Ben-Gurion University and the University of Chicago sign a cooperation agreement on research of new water technologies at Israel's Presidents' Residence. 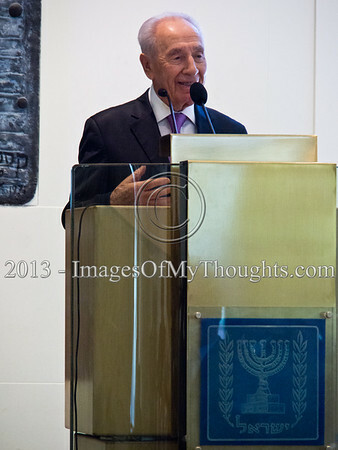 President of the State of Israel, SHIMON PERES, delivers a statement following the signing of a cooperation agreement between Ben-Gurion University and the University of Chicago at Israel's Presidents' Residence. Israel's Ben-Gurion University and the University of Chicago sign a cooperation agreement on research of new water technologies at Israel's Presidents' Residence. 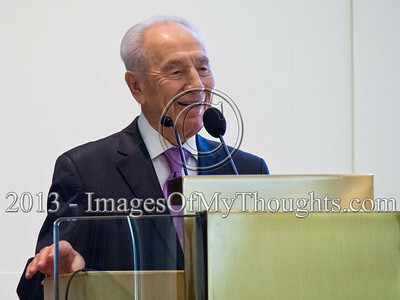 President of the State of Israel, SHIMON PERES, greets delegations of Ben-Gurion and Chicago Universities prior to the signing of a cooperation agreement on research of new water technologies. Israel's Ben-Gurion University and the University of Chicago sign a cooperation agreement on research of new water technologies at Israel's Presidents' Residence. 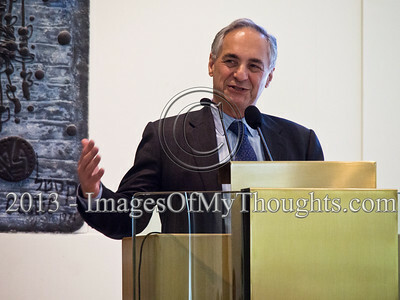 President of the University of Chicago, ROBERT ZIMMER, delivers a statement following the signing of a cooperation agreement with Ben-Gurion University President, Professor Carmi, at Israel's Presidents' Residence. 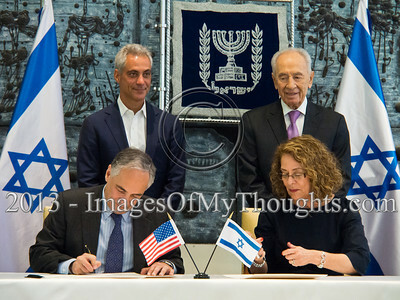 Israel's Ben-Gurion University and the University of Chicago sign a cooperation agreement on research of new water technologies at Israel's Presidents' Residence.